Second Dinner co-founder Ben Brode spent 15 years working at Blizzard, and in that span he noticed one idea that kept coming back up time and again: "Little things that matter a lot." Brode will be going into that theme in greater detail when he delivers the keynote address at PAX Dev in Seattle later this month. The former game director of Hearthstone spoke with GamesIndustry.biz recently to go over some of the subjects of his presentation, areas of development whose impact on the players' experience may be underestimated. 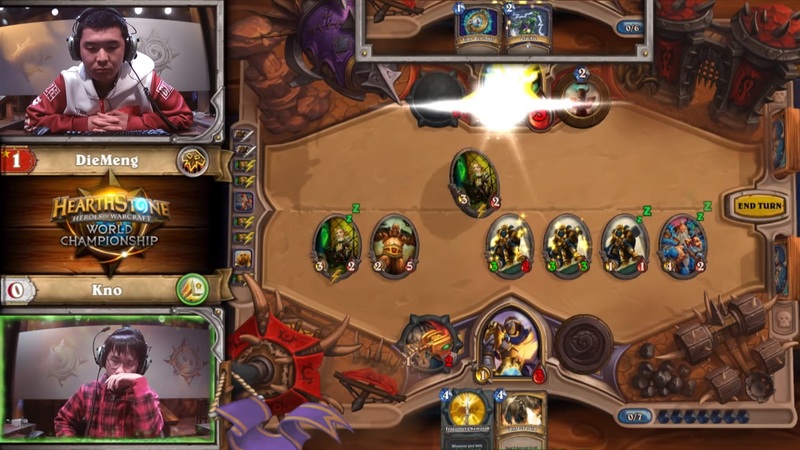 "Tight controls are a thing that most players do not notice or talk about," Brode said. "It's a thing you have to, as a designer, pay a lot of attention to on your own if you want to learn the difference between very tight controls and loose controls." Anyone familiar with Blizzard is likely aware of the company's emphasis on this point, and Brode even mentioned former chief creative officer Rob Pardo's frequent insistence that "control is king." And while it's easy to see that at work in Blizzard's more action-heavy games, Brode said it was no less important for a card game like Hearthstone. "One of the things we did that was difficult to do was to let you play cards as fast as you wanted to," Brode said. "Even while animations were still happening, you could play your next card and your next card and your next card, playing the game as fast as the decisions and your hand could allow." This involved writing a bunch of predictive tech into the client so it could cover the gaps before it heard back from the server, but the results were worth it in Brode's estimation. "It had to feel as tight as possible, so there was never a moment where you had something you wanted to do but the game wasn't doing it"
"It had to feel as tight as possible, so there was never a moment where you had something you wanted to do but the game wasn't doing it," he said. "It was super responsive, and that was a very important thing at Blizzard that we spent a ton of time focusing on." Matchmaking is another area where Brode is encouraging developers to reconsider the conventional wisdom. One common attitude he encounters is the idea that good matchmaking will ensure that players win about 50% of their games, with the idea being that any player who loses too many matches is very likely to get frustrated and stop playing entirely. "When you are trying to raise win rates to 50% for players who would otherwise lose more than 50% of their games, you're also actually trying to lower win rates to 50% for players who would normally be winning more than 50% of their games," Brode said, adding, "It's actually possible that by squishing everybody to win 50% of their games, the guy who was winning 70% starts churning on average more, and on average the 30% winners churn less, but the total effect on churn rate is nothing. So the work we do to make great matchmaking systems--presumably to help players get up to 50% win rate--actually hurts an equivalent number of players and gives no benefit in churn rate, at least sometimes." Besides the potential for wasting a lot of time and effort without actually improving player retention, Brode said another downside to enforcing 50% win rates is that it obfuscates bigger-picture progress that can keep players engaged over the long haul. "It makes it hard to tell when you've increased in skill, or when you level up that you've gotten better at the game, because the matchmaking system hides all that from you by finding you harder opponents as fast as possible," Brode said. Not every topic in Brode's talk is going to fit under the description of "little things." He's also going to address some clearly important topics that have generated no shortage of discussion in the industry over the years, among them the player-developer relationship and crunch. "When you can impart all of the decision-making and thinking, then players can level up as designers, understand where you're coming from, and really have a good discussion"
Games-as-a-service and social media have fundamentally changed the way developers and players interact. Because players have more direct access to the developers behind their favorite games and those games can now be played over the course of decades instead of weeks, developers have a greater need to interact with their communities. Brode said one good way to boost the quality of those interactions is to boost their quantity as well. "One of the things that worked really well for us on Hearthstone was that I would try to comment very early on in a thread," Brode said. "There's this phenomenon online where the anonymity of the internet makes people treat each other a little bit less good. And when somebody made their presence felt, it got everybody into less of a flaming scenario, and into a more productive discussion. That helped the community sentiment a lot, and players like developers being around. So I just made sure whenever the community team was going to post anything, and I would either try and post it myself to our community subreddit, or I would try to be one of the first comments on it. I felt like that worked across the board basically every time." 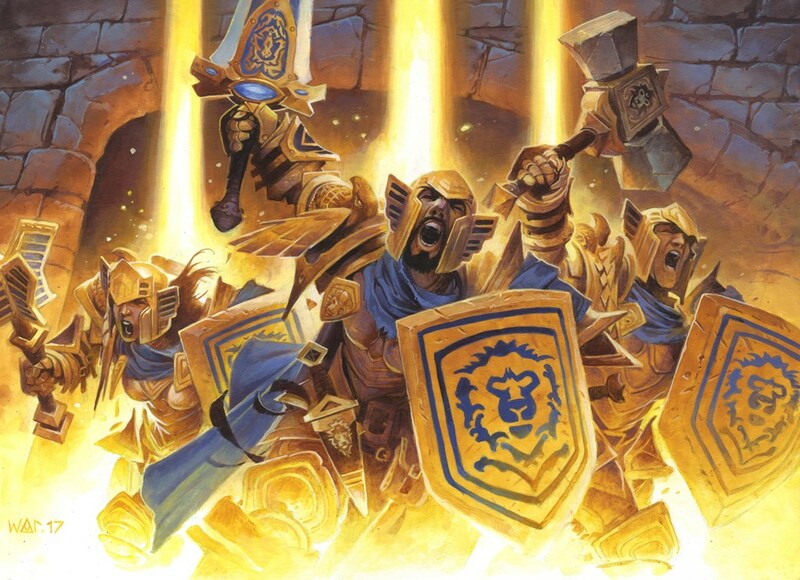 Brode said one of the biggest reasons to have developers engaged in the community like that is simply to explain the developers' thought processes. Those aren't always instinctively understood by end users, but letting them know why things are the way they are at least provides a foundation from which a proper dialogue can develop. "I thought our job was to help explain the reasoning, and then we could have really helpful discussions," Brode said. "Certainly we weren't right all the time, but when you can impart all of the decision-making and thinking, then players can level up as designers, understand where you're coming from, and really have a good discussion." Of course, not every issue is going to be happily resolved, and at times, the relationship between players and developers can become abusive. When asked if he sees things like the recent ArenaNet firings or the continuing rancor against No Man's Sky developer Hello Games as evidence of an increasing amount of friction between the audience and creators, Brode was uncertain. "When you have a game that is a live game people are playing for a long time and are passionate about, players associate themselves with that game and they want the game to be high quality," Brode said. "If the game isn't high quality but they've chosen to play it, it reflects badly on the players. I think it makes sense that players would be highly passionate about wanting the games they play to very good. They have very high standards, and they should have high standards." Rather than think of the relationship as a contentious one, Brode believes it's better for all involved to treat it as a collaborative one. "We just never worked overtime when I was on the Hearthstone team. The culture on the team was really rigid about making sure people didn't burn out. It comes from the top"
"The better attitude is that we are aligned in our goals of making a great game, and we are tools to each other," Brode said. "We can all help make each other better. Obviously we have the most power as developers to make players happy, but players can help make everyone happy by giving us really helpful, useful feedback about how they feel about what developers are doing. And that's a collaboration that I think is hyper great for the game, the players and the developers. It's hard to think about things in that perspective sometimes, but I think that's the right way to approach the player-developer relationship." Brode not only wants a healthy relationship between the developers and the audience, he wants a healthy relationship between the developers and their own work. One of the ways he wants to see developers achieve that is through more rigorous scope control. When developers and designers let the scope of a game get out of hand, it's too tempting for them to think they can compensate for it with overtime. Brode would rather see "hours worked" treated less like a variable that can be tweaked to compensate for poor scope control, and more like a fixed constant that studios need to work around. He knows it's possible, because he's seen it done first hand. "We just never worked overtime when I was on the Hearthstone team," Brode said. "The culture on the team was really rigid about making sure people didn't burn out. It comes from the top. It comes from the desire to make sure people are being taken care of. That's a really important thing. I hear stories all the time about people working horrible overtime hours, and it just seems crazy to me. You can't run a long-term game or company that way." Brode did acknowledge he might have done an hour or two of overtime here or there, largely because of server outages or other live ops crises requiring all hands on deck. However, he never worked on weekends, the team never relied on overtime as a standard practice, and managers would actually intervene if they noticed developers working overtime, asking them not to burn themselves out. "It's tough, because you do have competing things," he said. "You want to increase quality, control costs, and you want to not work too much overtime. A lot of people are doing a good job at it, but in my experience, it's more important to cut scope than it is to increase hours worked to get the result you need. It's sometimes difficult to cut scope. I think we as an industry need to work harder at making the right trade-off there." PAX Dev is set for August 28 and 29 in Seattle, Washington. It is produced by ReedPOP, the event organizer which recently acquired GamesIndustry.biz parent company Gamer Network.